Times have changed and when people are looking for options that are better than the traditional cable television, show producers came up with internet-based TV programs. Pluto TV is one of the many popular services available and was originally launched in 2013 and has undergone some great changes through the years. Its versatility sets it apart as the service is available on all major platforms, as many as 14 of them, including Chromecast, Apple TV, Roku and PlayStation consoles. While other service providers are taking the known route of paid channels and subscriptions, Pluto TV offers nearly 100 channels for free. The service has picked steam because of their categorization which makes it much easier to find the content you love the most, but instead of big names, it focuses on allowing you to explore lots of channels and video content from which you can pick the one that interests you. 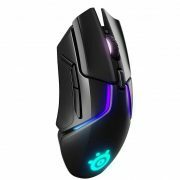 The genres include action, sports, news, anime, stand-up comedy and cat videos among many others, not excluding the quirky ones that are fun to browse through in your free time. 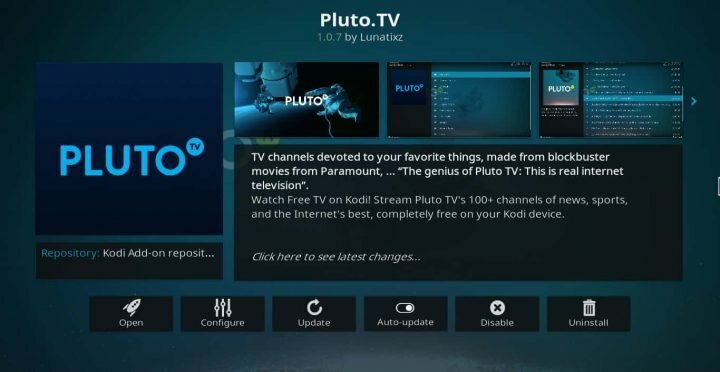 Pluto TV is an internet-based television service which offers 100 channels and its uniqueness lies in the fact that it doesn’t require users to sign up for the service. You don’t have to pay any monthly subscription fee and because of its wide availability on all major platforms, it is easy to login, watch channels that you like the most and mark them as favorite to watch them any other day. If you register, you can customize the channels besides being able to browse all available options and keep track of them. 2. Cable Television Services vs. Pluto TV – What to Expect? Millions of people are used to watching cable television services for decades now, but the internet TV is a welcome relief where you can watch the kind of content you like and at your convenient time. An active subscription is mandatory for most paid services, but Pluto TV is an exception as it is completely free, supported by ads that will pop up when you are changing channels. You can easily get started if you own an Apple TV, a PlayStation console or one of the streaming sticks. Most people own one of these products, at least a Chromecast or Roku as they are rather cheap at $35 or less. A reliable internet connection that is at least 25 Mbps or higher will ensure a smooth streaming experience. With Pluto TV, you cannot expect every popular brand’s channel and programs to be on board, but there is something in every genre and the TV guide should make it easier for you to pick something that suits your taste. 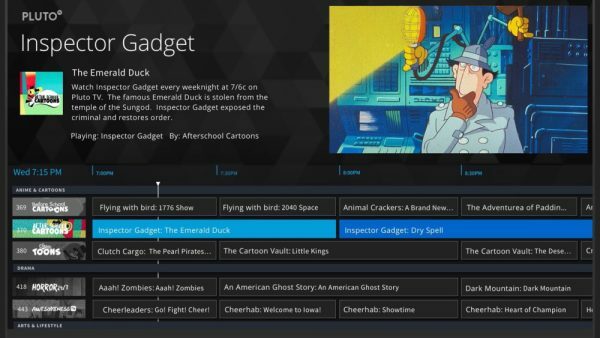 Some of the channels and programs available on Pluto TV might look familiar, but just don’t expect branded television shows to be made available to you for free. You can get your daily source of news from CBSN through its CBS News service while NBC News offers the same without the popular sitcoms. Some unique and new video content providers available on the service include Man Up, Anime All Day and The Feed. Any new user will be surprised by the sheer number of genres available on the free service that they can start watching right away. The movies section has a strong collection of different channels like Action Movies, Pluto TV Drama, Movies 2, Family, Horror and other collections. In terms of sports, it includes Fox Sports, an easy to relate with name apart from Impact Wrestling, Red Bull TV, World Poker Tour and Glory Kickboxing. A variety of other genres that you may not usually find in other sources include geek and gaming, comedy, music and radio, lifestyle and dedicated documentaries. For a free service, the collection is pretty impressive and they have been bringing new content creators on-board to further expand the lineup. Compared to other services that focus on exclusive content, Pluto TV focuses on picking the most popular free shows on the internet and bringing them to you in a convenient, user-friendly interface. 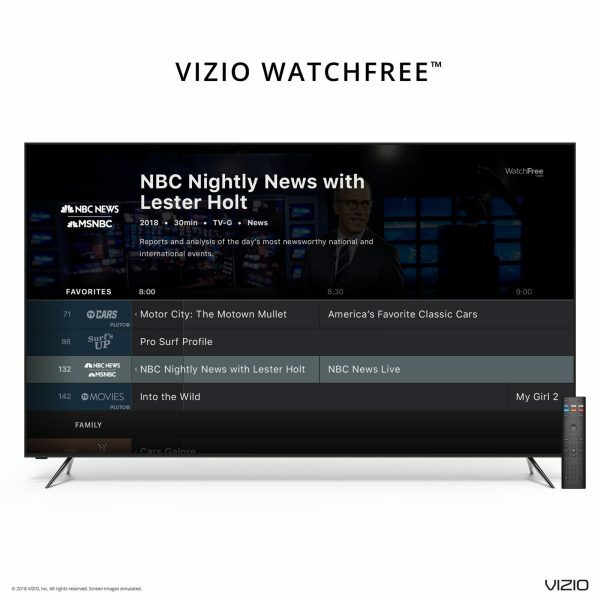 Users who already had the chance to use Vizio TVs Watch free will find this service to be quite similar because it is powered by the same provider with some slight variations in UI and content presentation. Some of the most popular contents, apart from those documentaries for the niche audience, include Dennis the Menace and Thunderbirds tv shows. The Jerry Springer Show’s different iteration in other countries is a welcome addition and you should also check out some unique channels like Science TV, Docu TV. The service even offers a live streaming service from NASA showcasing their space missions and ongoing projects with in-depth detail. A dedicated channel named Stand Up focuses on offering only stand-up comedies continuously. Similarly, dedicated content includes cats 24/7, all day anime and comedic fails. All these should possibly keep you occupied for long hours because instead of browsing the internet unable to find anything, you can get it through their curated list and start watching on your favorite platform. Apart from a large collection of movies and television shows, Pluto TV specializes in providing a radio service named Dash Radio. You will easily find popular music genres like rock, soul, jazz and hip-hop that should appeal to most music fans irrespective of their specific tastes. Being able to enjoy some music along with so many visual contents to watch adds value to this already affordable service that is completely free. 5. Is Pluto TV always telecasting live content? A lot of users would want to know what kind of content is being streamed and whether they are live, which adds up to the value of the content being relayed. Some of the contents, such as news and sports, will be broadcasted live. But the service has been designed in such a way that the idea is to focus on providing maximum genres possible and lots of videos to choose from. 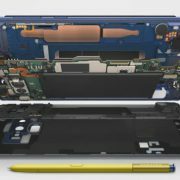 In order to achieve this, the service provider repackages existing content. Users do have the option to click on the live icon so that if it is a sports event, it will automatically jump to the current time when the match is live. In recent years, the company has added a couple of new platforms which further expands their reach and allow users to watch it on more platforms. 7. 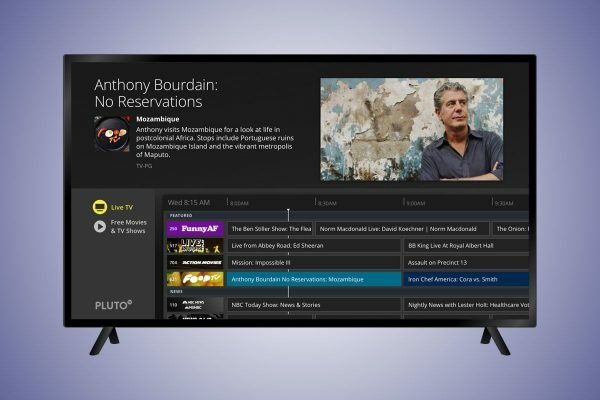 What is the cost of watching content on Pluto TV? Most TV viewers will be extremely surprised by the fact that Pluto TV literally costs you nothing and is being offered for free. By the word ‘free’, it is a fact that you don’t have to pay any monthly subscription or any form of payment. It is easy to get started with the services and watch a channel as soon as you open the app or log in to their website. Video on demand is not available on the website for now but it does work seamlessly on all the app versions. 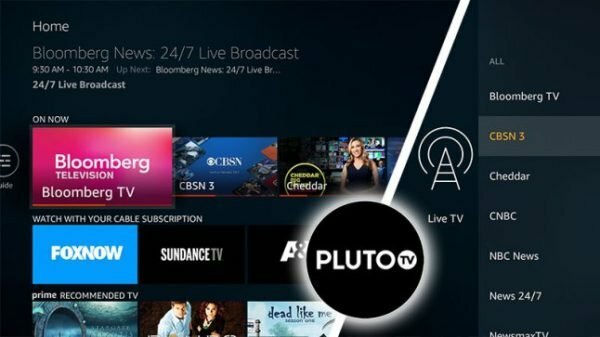 Pluto TV makes its revenue through ads that will be dropped in when you change channels or if you have been watching a program for a considerable time. The ads usually last between two to three minutes and there is no way to skip them as you are getting the service for free. It brings a collection of 15 to 30 seconds ad together so that they make revenue from multiple sources. The on-demand content is quite exciting if you manage to find some of the known movies like the entire Saw series, The Hurt Locker and Rescue Dawn. There is even a Harrison Ford movie to spice things up and it’s all based on the person especially if you have a knack for finding content after wading through a long collection of free shows, movies and there’s some free radio too that you could listen to by connecting a pair of headphones. 8. Is there a strong reason to choose Pluto TV over other sources? Obviously, yes! The fact that this service is being offered for free is what sets it apart and the type of video content found on this platform is pretty unique. While you will find lots of new movies and exclusives on Netflix or Hulu, Pluto TV specializes in having different genres for unheard of horror movies, action films, nerdy televisions and even a dedicated channel that showcases cat videos 24/7. In most cases, users would want to know whether a service is worth their money and time. As Pluto TV is free, the first factor is void and you can definitely spend your time exploring some new content that you might otherwise not watch. The popular exclusive shows like Game of Thrones and House of Cards are done to the core that it is fun to choose something new for a service that literally costs nothing. Another interesting factor is the Anime All Day channel where you can find popular names like One Punch Man, Bleach and Saint Seiya: Soul of Gold with English subtitles. The app allows you to watch them all on a favorite platform in an app that has evolved through time and is much better with a pretty user-friendly UI to browse through channels. If you are planning to download the app and get entertained for months to come, you will probably find yourself getting bored quickly. The free service aims to provide new content that you may often miss on YouTube and not on exclusive content or latest blockbuster movies. Apart from some of the best-curated news content from sources like Bloomberg, Sky News and MSNBC, you will also come across an amazing collection of action sports like MMA boxing and wrestling. The stand-up comedy channels explore lesser-known people who are still not popular in the scene but do have the potential. CNET is the perfect source for technology news if you happen to be a nerd and they have even segregated it for nerd enthusiasts with a couple of other channels as well. In recent additions, they have included a 4K channel and more such content is expected to be added. 9. How is the user experience on Pluto TV? The user interface is quite similar to many popular streaming services and the thumbnail model allows you to easily browse through channels. The movies section is extensive with specific tabs for each genre and it is further divided into horror, action with dedicated tabs. While the thumbnail choices are not so catchy because you will not be familiar with the most content, it does makes it easy to browse and find some random movie or documentary to watch. The nerd TV, stand-up comedy and anime sections are fun to browse through as you might find some hidden gems in them. The UI is easy to navigate on all platforms as you would do on other popular, paid services. 10. Who should choose Pluto TV? Any user who is tired of browsing through popular and most watched shows should definitely take a break to check out Pluto TV. After all, how many hours can you spend on HBO, Netflix shows and not relax with some silly cat videos? Instead of going through YouTube to find content, you can make use of Pluto TV which is free, supported by some occasional ads and categorizes videos easily that makes it easy to browse to watch multiple contents at the same time without having to stick to only one of them for many hours. You can always use it as a backup app to view unique content on different topics that are not focused on by most popular paid services don’t focus on. Be it watching comedy, documentaries or a quick peek into some new music, it is a mixed bag of choices for the kind of person who loves to go beyond traditional TV and internet content.